Enclose your porch to the elements. Open your porch to the possibilities! 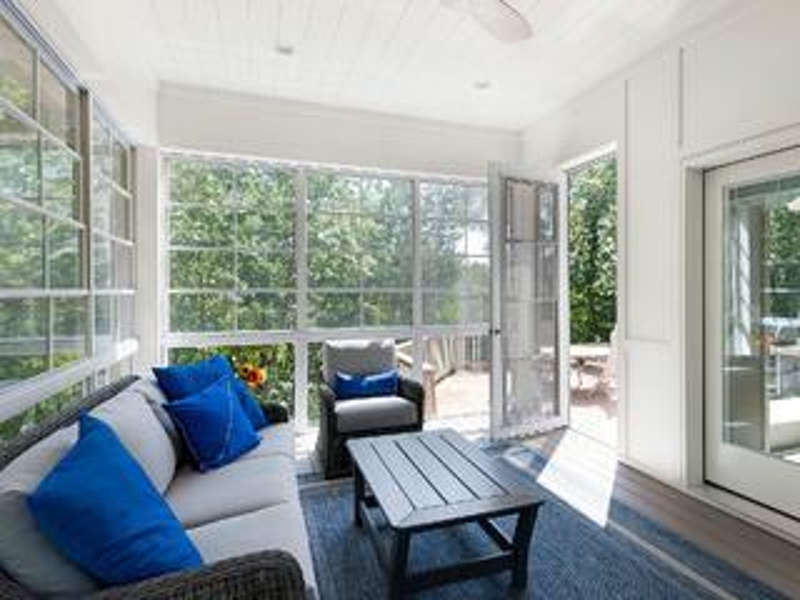 Sunspace Porch Windows are low maintenance and designed specifically for use in a porch or sunroom that will stand up to the harsh Minnesota climate. The vinyl material is lightweight and flexible – with UV inhibitor built in – so it maintains transparency and durability. Glass windows are made for inside the house, not for an unconditioned outdoor space. Sunspace Porch Windows are guaranteed to last you a lifetime, providing you with a worry-free product forever! 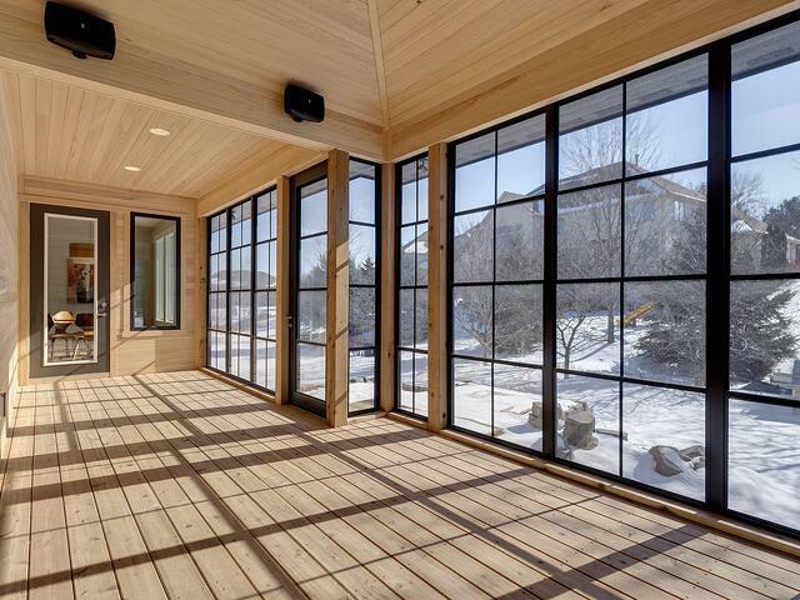 People in Minnesota love their Sunspace 3-season porch because it gives them the luxury of experiencing the outdoors regardless of the weather. 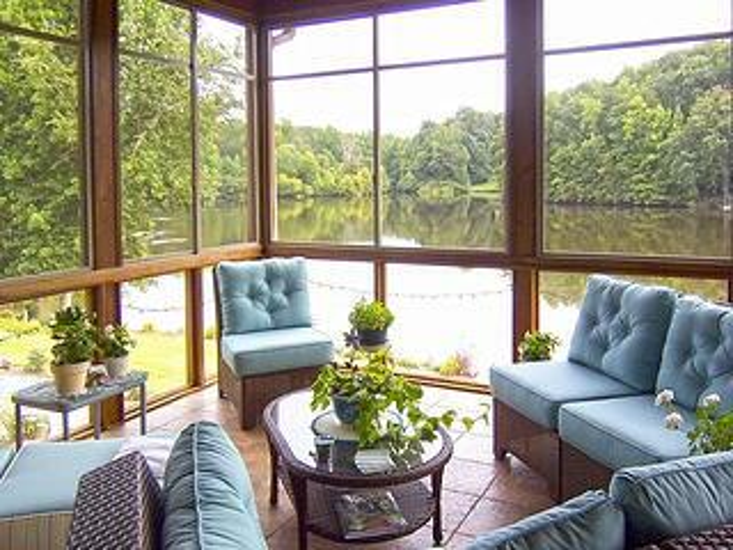 Our porch window systems allow you to keep the unique, inviting feeling of a screened-in porch throughout the seasons. Vertical 4-Track Windows are our most popular product and provide the most functionality for enclosing your porch. Simply close the windows to keep out rain, wind, dust, and snow. 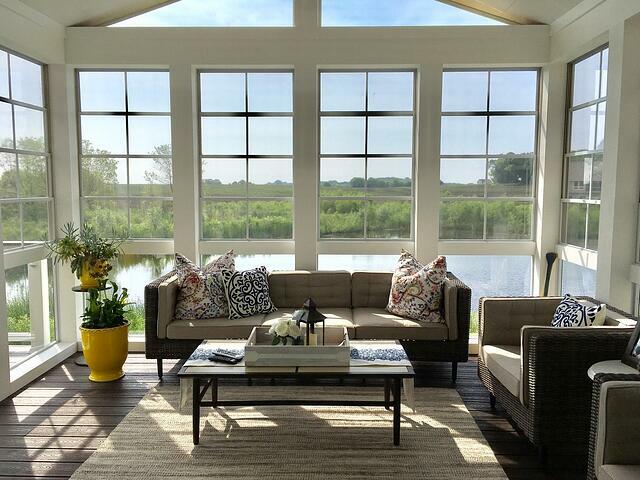 Horizontal Sliding Windows are available in 2, 3, or 4-panel configurations. Our exclusive design allows for smoother operation and up to 75% ventilation for a full porch experience. Our Entry Doors are custom sized to fit openings, with in-swing or out-swing options. They are built for durability with a stainless steel threshold and locking hardware. Need Porch Windows for Your Home? Create an amazing outdoor living space that will leave a lasting impression on your friends, family and neighbors. 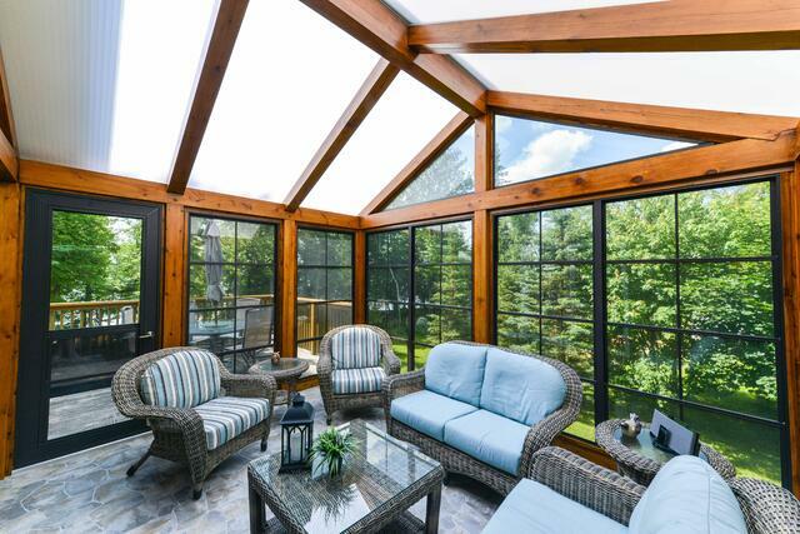 Here, at Sunspace, our expert team is trained to visualize the potential for your deck, sunroom or porch for your luxury home, and we offer versatile windows for your outdoor living spaces. 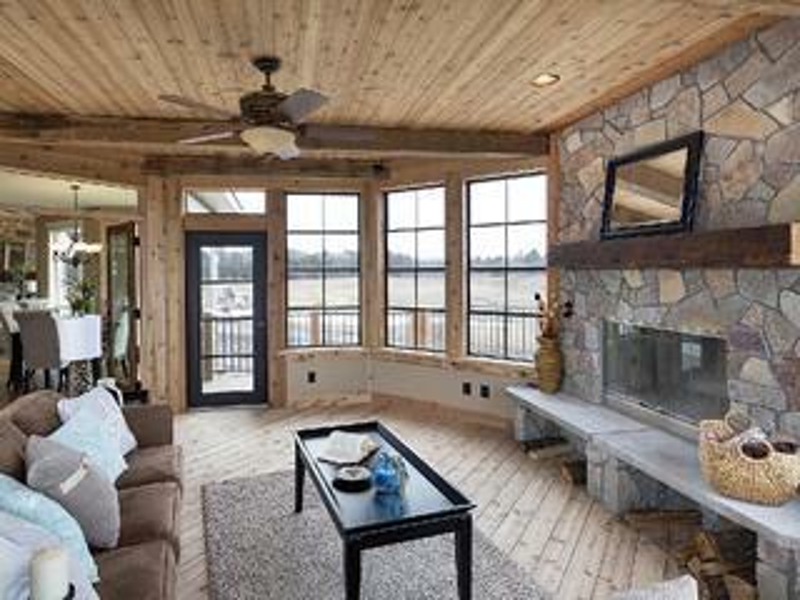 Whether you are starting to design a brand-new porch, or just looking for practical solutions to upgrade your existing sunroom system, Sunspace offers great design ideas and excellent service from start to finish. Need Porch Windows for a Client Project? If you are going to build a 3-Season porch, why not build it with the best? WeatherMaster Porch Windows and Doors from Sunspace give you a mix of luxury and functionality by offering a variety of design options as well as protection throughout the changing seasons. Our window systems come in various treatments and covers to best accentuate any design and build. Give your clients the best when it comes to functionality and style. We partner with homeowners, contractors, and designers on outstanding porch projects. Check out what we’ve found to be the top expert tips for designing a functional, yet stylish, outdoor living space.